Whether you’re rebounding from a sports injury, in need of rehabilitation, recovering from a stroke or seeking specialized care, you want a practice that affords you the time, attention and hands-on treatment you deserve. 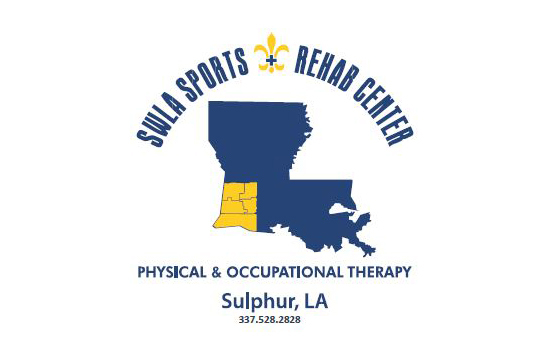 SWLA Sports & Rehab Center - Sulphur provides the caring, qualified care you need to help you feel better – fast. One practice, SIX distinct locations, one common goal. Although we operate under six distinct names, our team of licensed physical, occupational and speech therapists are united by a common goal. We promote a single treatment philosophy and mission: to offer you more intense, hands-on therapy and more time with your physical and occupational therapist, to maximize your functional ability and improve your quality of life. Each of our practices is committed to the use of more intense manual therapy to relieve your pain and improve your function as quickly as possible. Faster pain relief means fewer therapy appointments. It also means getting you back to your job, your family, your life. Whether you’re rebounding from a sports injury, in need of rehabilitation, recovering from a stroke or seeking specialized care, you want a practice that affords you the time, attention and hands-on treatment you deserve. With six distinct locations to serve you, the related practices of Thibodeaux, Albro & Touchet Therapy Group, Iowa Therapy Group, SWLA Sports & Rehab Center, Crowley Therapy Group, and X-Cel Therapy Group provide the caring, qualified care you need to help you feel better – fast. To schedule an appointment or referral, contact the location nearest you!